Bordered by Canada to the north, New Hampshire to the east, Massachusetts to the south, and New York to the west, Vermont is the only New England state not bordered by the Atlantic Ocean. Despite its distance from the open ocean, Vermont is well known destination for island lovers. 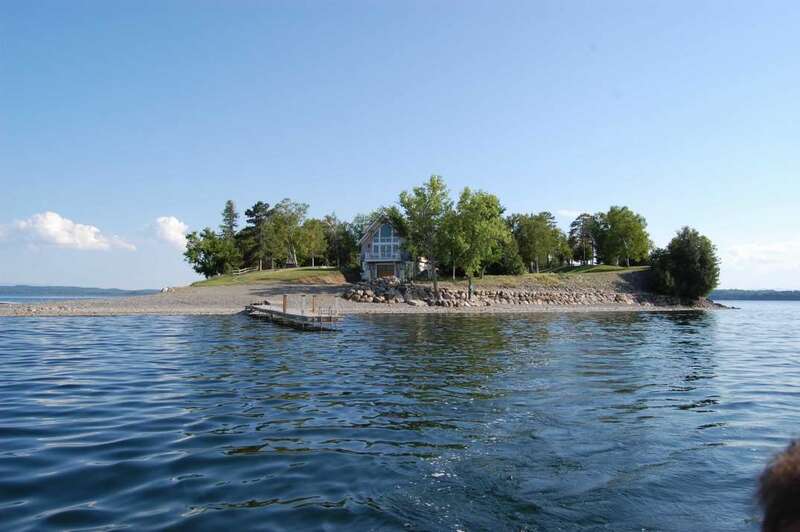 Located... + Read More between Vermont's Green Mountains and New York's Adirondacks is one of the most sought after inland island destinations in the country, the Lake Champlain Islands. In addition to the sweeping lake and mountain views of Lake Champlain, Vermont has numerous lakes and rivers with a fantastic selection of island waiting to be discovered.